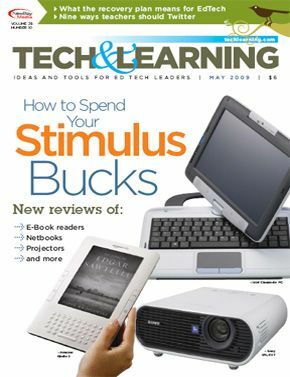 Read the first in a three-part series on what the stimulus package means for education technology in America’s classrooms. This month, get an instant primer on what all the acronyms mean and how the numbers break down. When purchasing a projector, there are many decisions to make. LCD or DLP? Maybe a short-throw? What brightness do I need? Start here to learn about some of these choices. • Which classroom multimedia tools do you use the most? PC virtualization systems give Danville schools a lot of computer learning for the buck.